Will Dwayne Johnson’s Trump Attack Hurt Ticket Sales? The charming actor is getting political ... and it could impact his future box office receipts. 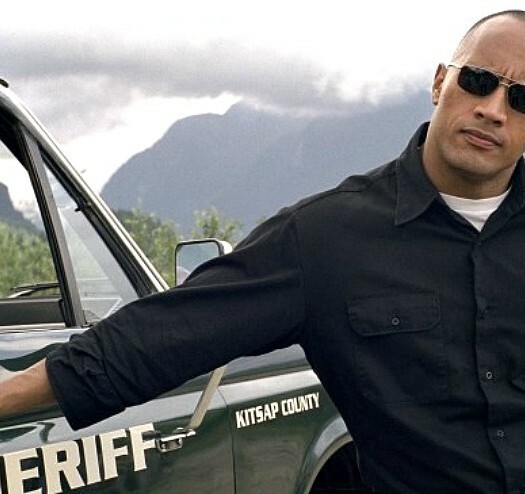 Dwayne Johnson has a secret weapon as an A-list movie star. No, it’s not his cannonball-sized biceps. Look past his massive frame and handsome mug. He’s one of the few mega stars today who doesn’t actively alienate his audience. He’s positive, uplifting and all about the entertainment value he tries to bring. He’s the same on social media. Uplift is in. Divisiveness? Take a seat. That’s another way of saying he avoids politics like the proverbial plague. The same can’t be said for George Clooney, Meryl Streep, Scarlett Johansson, Mark Ruffalo and many more. They use their celebrity pulpit to back specific candidates, rally around select issues and, on more than a few occasions, mock those with whom they disagree. Is Johnson joining their ranks? Not yet, but he recently got more political than he’s even been before in a press interview. Naturally, select outlets pounced on the quotes. It’s safe to say they were quickly spread far and wide. That’s how it works in 2018. He must know that on some level. In the film, Johnson plays a primatologist trying to help a gorilla return to normal following a genetic mutation. “Rampage,” inspired by the video game of the same name, co-stars Jeffrey Dean Morgan, Naomie Harris and Malin Akerman (“Billions“). FAST FACT: Dwayne Johnson’s first professional wrestling match came against the Brooklyn Brawler in Texas. The liberal magazine peppered Johnson with politically-charged questions. That makes sense. Those questions can lead to click-bait friendly quotes. Rolling Stone likely hopes the star will reinforce its progressive stances on the issues du jour. Plus, there’s been sincere talk about Johnson running for the White House. Or, at least the fact that he could give it a serious go if motivated. We currently have a reality show star at 1600 Pennsylvania Ave. NW. The wrestler turned actor could have deflected Rolling Stone’s questions. He’s a smart fellow and no stranger to how the publicity process works. Instead, he weighed in on a few matters sure to rub some the wrong way. For starters, he threw his support behind the NFL’s “take a knee” movement, the very one which helped the sport’s ratings plunge during the 2017 season. He lashed out at President Donald Trump while admitting he sat out the 2016 presidential election. Why? He didn’t care for either candidate. He didn’t discuss the matter publicly until now. He’s since had a change of heart. “The next elections, in 2020, I think I’ll be a little bit more vocal in who I support,” he told the magazine. The context is clear. He’ll likely support whoever faces off against President Trump. In doing so, he’ll become yet another actor wading into political waters from the Left. That aura, that sense of being an entertainer, not an activist, may vanish. He also addressed why people are even discussing a “President Johnson” in the first place. Was that Dwayne Johnson … or Jimmy Kimmel? Johnson offered another quote to Rolling Stone, one that sums up both his approach and wildly endearing appeal … up until now. What Johnson may not grasp is that part of that tactic involves staying above the political fray. We’re living in angry times, and when movie patrons consider their choices they sometimes process the politics of a certain actor. Or the rhetoric they employ. Just ask fading star Amy Schumer. To be fair to Johnson, his Rolling Stone chat wasn’t hyperbolic. He spoke in measured tones and didn’t insult any potential audience members. The latter may not process it that way. They’ll hear another big shot celebrity taking down their president. And they’ll lump Johnson in with all the other stars who can’t understand why they voted for Trump in the first place. Ultimately, Johnson may keep making serious coin with noisy blockbusters and engaging franchises. He may start losing some of his fanbase, though, a process few stars, large or small, can afford. Want more conservative Hollywood coverage? Click on the Facebook ‘Like’ button below!